Delta Prescriptions is an approved Palliative Care Pharmacy. Palliative Care is a specialized area of healthcare that focuses on relieving and preventing the suffering of terminally ill patients. Our pharmacists specialize in pain control, at home injections and blister packaging for seniors. In the case of our palliative patients, we ensure that medications are delivered when needed and even pre-load syringes for the family to safely and confidently administer. Our #1 goal is to decrease the stress of the caregivers while helping the patients to live comfortably and peacefully in conjunction with the medical team. 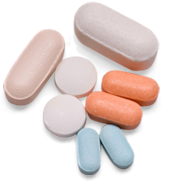 Blister packs are commonly used as unit-dose packaging for medications. Blister packs can help ensure the correct dosage is taken at the correct time. It can also improve the shelf life of medications. At Delta Prescriptions, our goal is to help seniors stay independent longer and/or help their children and caregivers ensure medications are being taken properly and safely.